Return to First QuestionsIs there anyone or anything that can give me a break in caregiving? Ask family members and friends for their help and support. Take advantage of community programs that provide respite and relief from caregiving, practical help with meals or housework and assistance with the care of the person with Alzheimer's disease. And plan ahead for both the immediate future and the long term. These are just some of the things caregivers can do to make their lives a bit easier. Contact your local Alzheimer Society for help with connecting to services such as support groups, counseling and information resources. Use the search bar above to find a Community Care Access office of Alberta Health Services close to you. 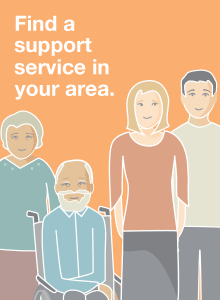 They can provide information about publicly funded respite options.